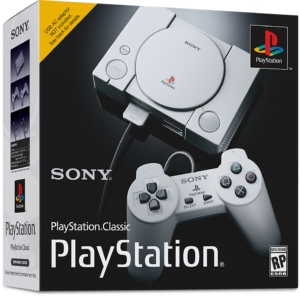 When Sony announced the PlayStation Classic console, its response to the wildly successful NES and SNES Classics from Nintendo, it promised us 20 games, but didn’t give us the full slate. Instead, it teased us with only 5 games that made the cut, Final Fantasy VII, Jumping Flash, Ridge Racer Type 4, Tekken 3, and Wild Arms. It could have released only 5 titles to help keep word of mouth going as people, like Andrew and me, speculate on what games will show up on the console when it launches in December, or it plans to drip feed us games until then as a way of keeping its marketing going. Or, it could be that they don’t yet know what the final list of games will be and are struggling, just as I am, from turning this system into a massive RPG box. Anyway, on last week’s Molehill Mountain Podcast, Andrew and I put forward our guesses, hopes, and dreams of what those remaining 15 games might be. Below you will see a table with our lists. I have highlighted in green the games we shared. As you can see from our lists, we have wildly different takes on what is considered a classic PS1 game. If you would like to put forward your theories and guesses, feel free to do so in the comments. When Sony does announce the other 15 games, we will follow this up with how our guesses stacked up. Home › Forums › What Games Will Make Up The Secret 15 Games On The PlayStation Classic? This topic contains 0 replies, has 1 voice, and was last updated by E. Zachary Knight 7 months ago.